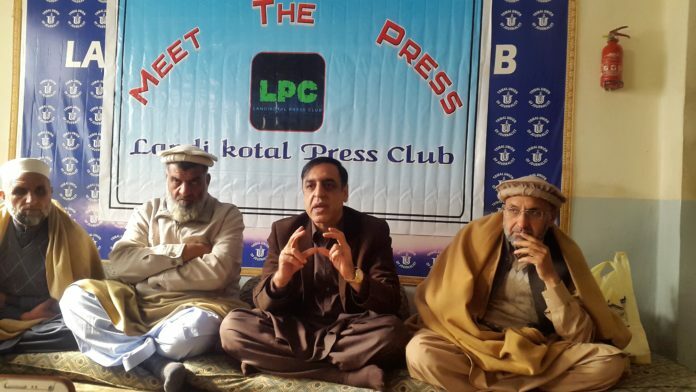 Zahid Shinwari talks during meet the press program at Landikotal press club. LANDIKOTAL: The former president of Sarhad chamber of commerce and industry, the chairman of export committee and the director of Pak-Afghan joint chamber of commerce has said that the government of PTI has no plan and seriousness to restore trade ties with Afghanistan which has already declined to only $900 million. Talking to meet the press program at Landikotal press club, Zahid Shinwari said that Pak and Afghan bilateral trade was 2.50 billion US dollars before some years which has now declined to only $900 million. 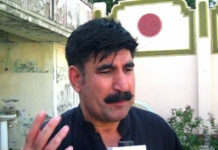 Zahid Shinwari criticized the poor trade policies of Pakistan Tehreek-Insaf government in regard of her neighbor country ‘Afghanistan’ and said that due to the bad policies of the government, the Afghanistan was seeking alternate ways of trade with other world and the Afghanistan’s government has already succeeded. He said that government should establish industrial zones at the newly merged tribal areas so that the grievances of the already deprived people could be removed and ended. Shinwari said that the World Bank was to launch a mega project with the name of Khyber Pass economic corridor (KPEC) which would be a game and economic changer for these areas. 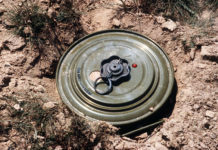 “The World Bank has already allocated Rs. 360 billion fund to establish economic zones and they are working on these projects at various locations of newly merged areas”. Shinwari said and added that the World Bank has already released Rs.800 million to establish an industrial zone at Dara Adam Khel area. He said that I have already given recommendations and proposals to the officials of the World Bank during meeting that small industrial and economic zones should be set up at various districts of the newly merged tribal areas. Shinwari said that Pakistan’s government should provide more facilities to Pak and Afghan traders to boost bilateral trade. He said that government should not create difficulties for traders of Afghanistan and Pakistan and instead the government should facilitate the traders of both countries. He said that it was a universal truth that neighbor countries had excellent trade ties but unfortunately the Pakistan had a very poor economic and trade policies towards Afghanistan now. 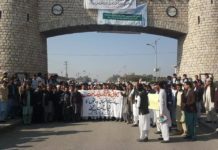 Shinwari said and demanded that Pakistan’s government should review and change the economic and trade policies towards Afghanistan and if the government of Pakistan was succeeded to provide relaxation to Afghan and Pakistan traders then the already declined trade between Pak and Afghanistan could be restored and boosted up.